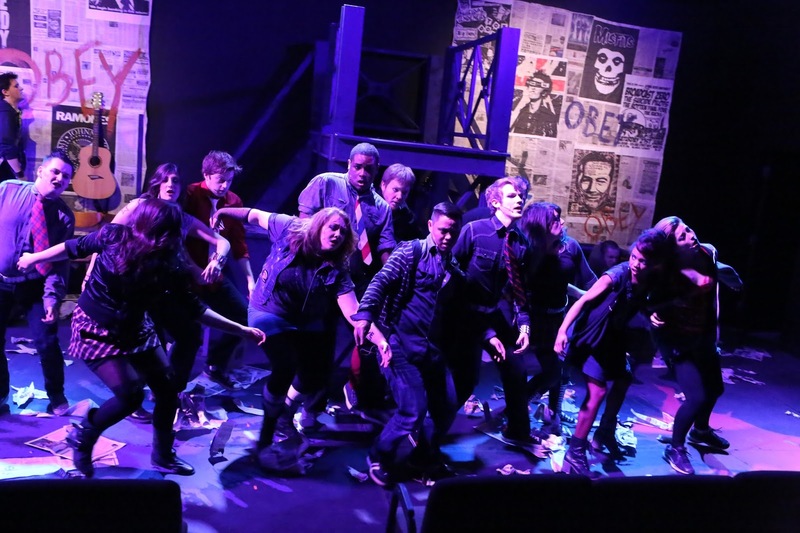 It’s interesting to work on American Idiot, as Hamilton dominates the world of musical theatre. People talk about how Hamilton will fundamentally change the art form (and I think they’re right and I’m really glad), but it reminds me that Rent was just as paradigm shattering in 1996, just as revolutionary, just as "fusion-ary" and influential. I realize that American Idiot holds up the center of a political rock theatre trilogy. 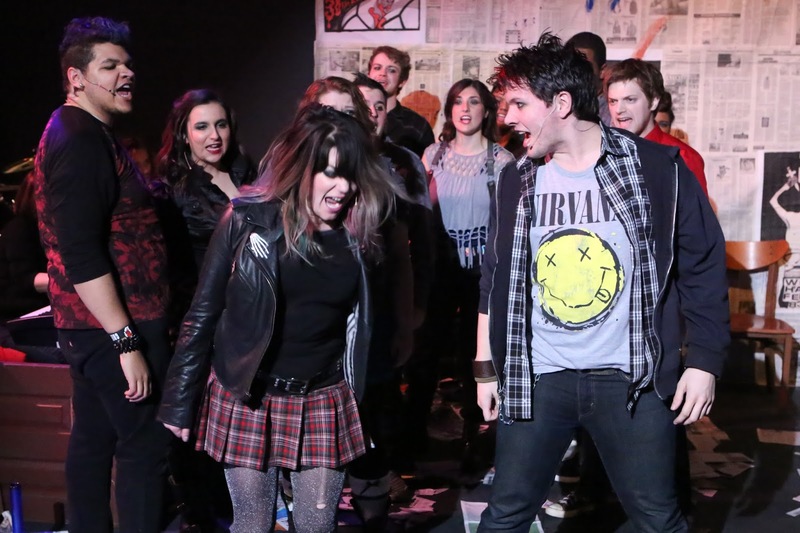 As tuned into its own zeitgeist as Rent was, so is American Idiot, and so is Hamilton. 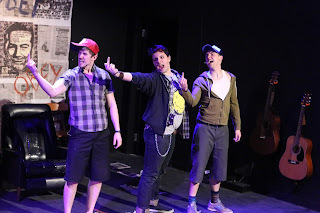 American Idiot is a triple Hero Myth, as Johnny, Will, and Tunny all respond in different ways to the cultural upheaval of a post-9/11 world, and all three go on spiritual journeys to find their place in the world, their path – their “Real,” as Passing Strange would put it. Heroes’ journeys can be concrete, as in an actual journey, or they can be interior. Or both. In American Idiot, director and bookwriter Michael Mayer gives us all three versions. Will stays behind, and his journey is interior, about learning to grow up and stop being selfish (just like Rob Gordon in High Fidelity). Both Johnny and Tunny take actual journeys, but Tunny literally goes to the other side of the world, while Johnny physically travels to New York, but then journeys inside through the use of drugs. All three of them travel to “the underworld” in one way or another, as many classic heroes do. All the big ideas in the show are present in the original Green Day album but more abstract, more thematic, more metaphoric. In the context of our triple Hero Myth, “Wake Me Up When September Ends” is no longer about the death of Billie Joe Armstrong’s father, but instead it transforms September into a symbol, the month that contained 9/11 and all the anniversaries, the post-9/11 mindset in its totality, forever with us. This song of personal loss and pain becomes instead a song about societal loss, and about social oppression and delusion. September becomes the culture of the War on Terror. What’s different about these three journeys from their archetypes is this additional element not always present in stories like these. Not only do these men have to find their individual paths, but at the same time, a very aggressive, oppressive culture is pushing them onto a different path, into a mindset they know instinctively is false and toxic. The entire conflict of our story is set up in the first sentence of the show, "Don’t wanna be an American idiot!" In other words, "Your Real is not my Real. Your fear is not my fear. Your path won’t get me to my destination. But how can I find my own Real, how can I avoid being an American idiot, if Bush and Cheney’s Real is the only Real anyone recognizes? How can I find my Real when their Real permeates everything?" None of the three finds much good in the path he chooses, but ultimately we see the problem isn’t the three paths; the problem is the world has gone mad. And the triumph for any of our three heroes is in not going mad as well, each finding sanity in his own Real and staying on his own road, just as humans have done during times of turmoil and upheaval for centuries. Just as our Hero Myths have taught us.